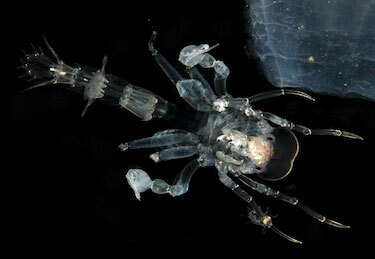 A group of small crustaceans that live in the twilight zone of the open ocean are coated in nanospheres that reduce the amount of light the crustaceans reflect, biologists in the US have discovered. The spheres, which are smaller than the wavelength of visible light, appear to be bacteria. The researchers believe the coating may help hide the transparent creatures from predators with bioluminescent searchlights…. Copyright © 2019 ศูนย์นาโนเทคโนโลยีแห่งชาติ (NANOTEC). All rights reserved.